A buyer agent is a real estate agent who represents only you, the buyer. One of the responsibilities of being a buyer agent includes protecting buyers from making bad decisions, like overpaying or skipping the home inspection. They are always looking out for the best interests of the buyer in protecting them from situations that could take advantage of a novice buyer who doesn’t study the real estate market. In short, the buyer agent protects you. 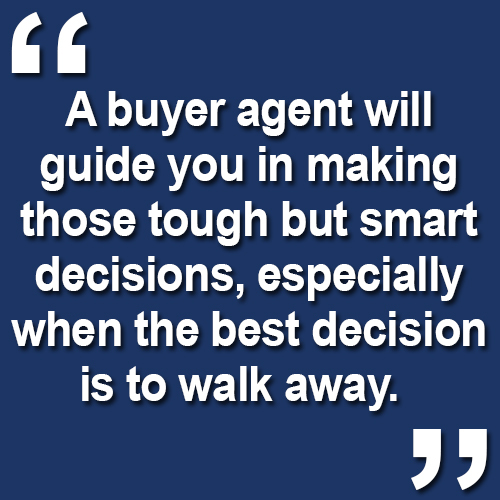 A buyer agent will guide you in making those tough but smart decisions, especially when the best decision is to walk away. Getting into a mortgage is a huge commitment. If you ask some of the people who have been underwater on their home for the last few years, they probably wish they would have had a buyer agent who told them they were overpaying, or that the mortgage rate wasn’t right for them. If you are looking for a buyer agent who will be brutally honest with you, while helping you make the right decisions, reach out to us today. Our unique office structure consists of both listing specialist agents and buyer specialist agents ready to assist you with your individual needs. We know the market, we know the neighborhoods you are looking in, and we know how to get you into the right home for your situation. If you have any questions for us, please feel free to give us a call. We would love to help you in any way we can. Mr. and Mrs. George Gregory, Jr.